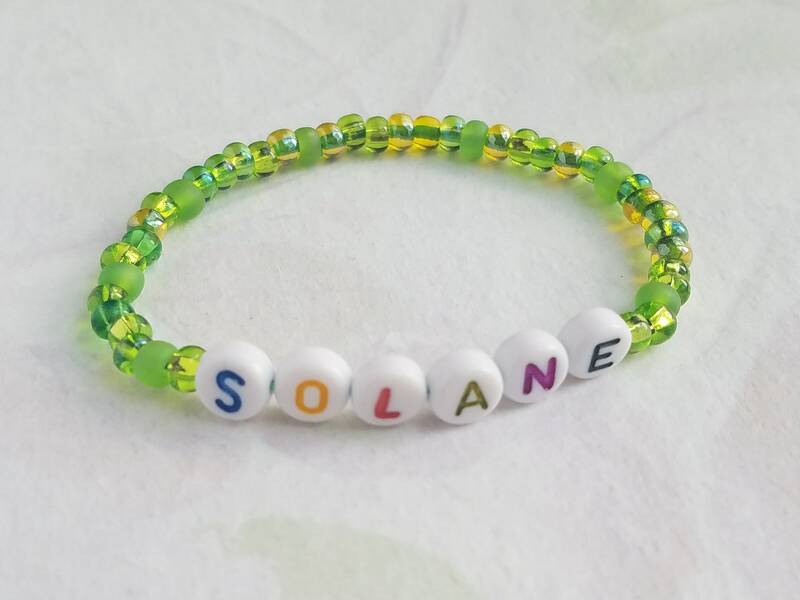 Child ID Bracelet, Child initial, Kids ID Bracelet. 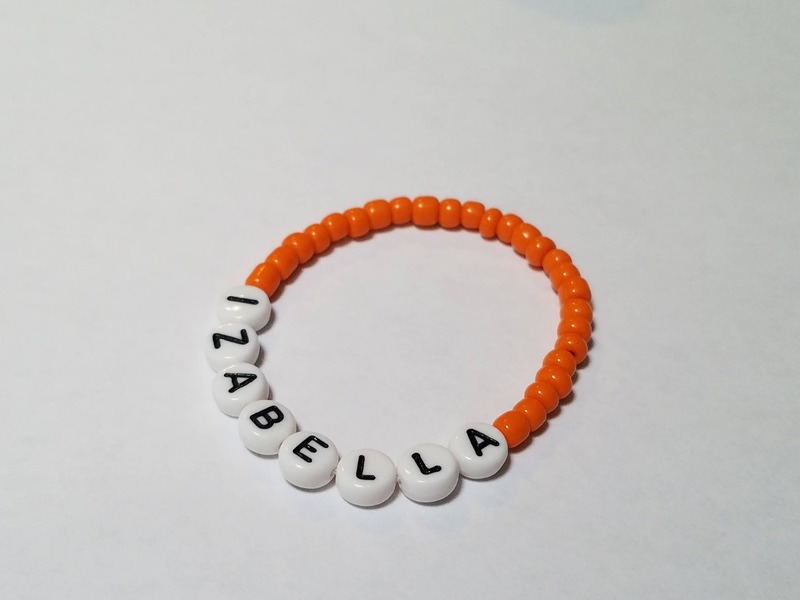 Can be customized as a Medical Alert Bracelet. 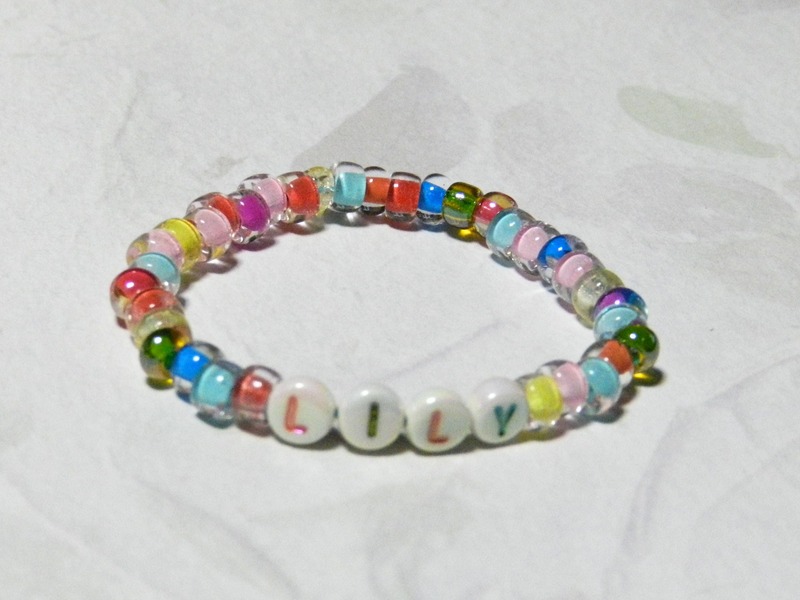 Handmade, choose your color glass beads Personalized with name, Initials or whatever message you wish. 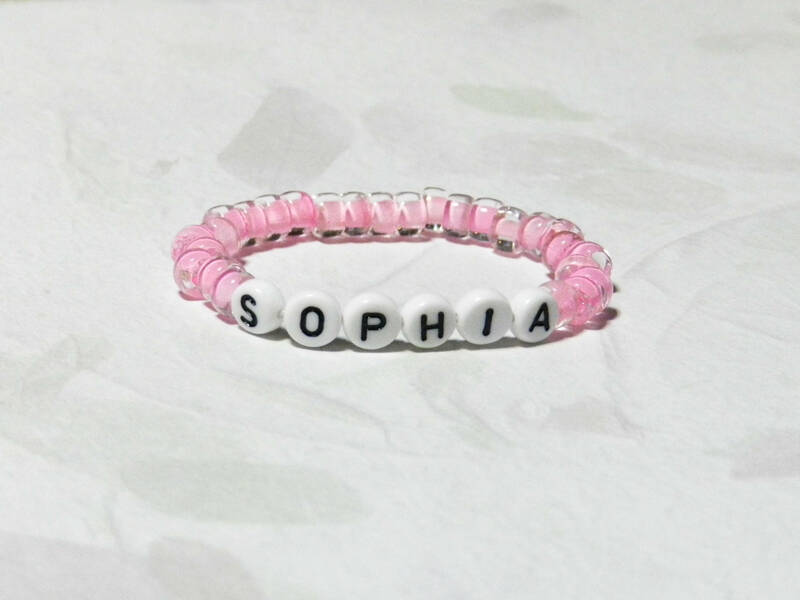 Perfect for special occasions, flower girl gift, birthday or anytime. 1. 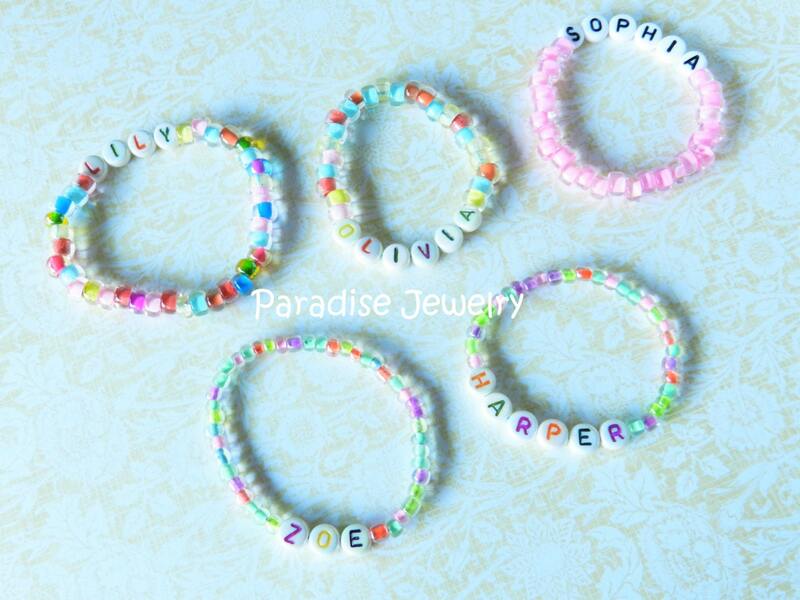 Initials or name Choose a letter from the drop down or convo me for options. 2. Age/size of recipient 5in. or 6in. *Please do not leave children unattended. 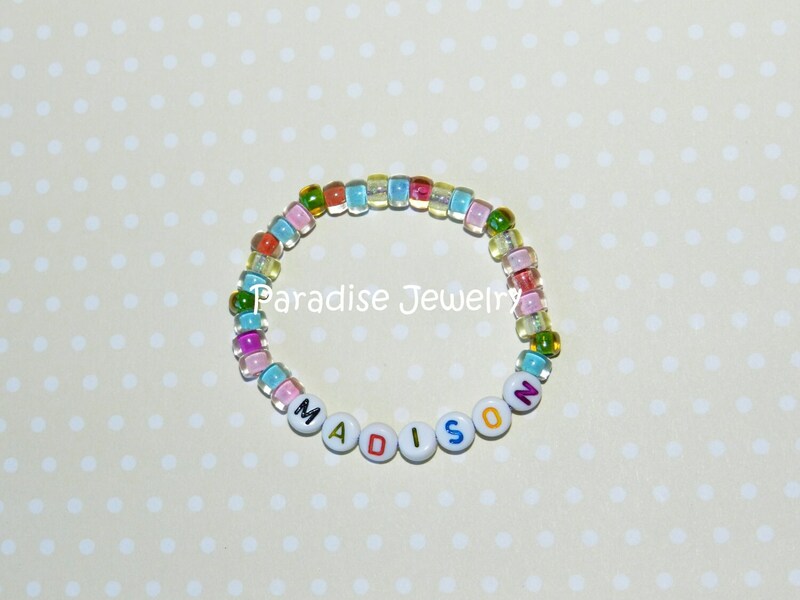 As with all jewelry contains small parts that can be a choking hazard. 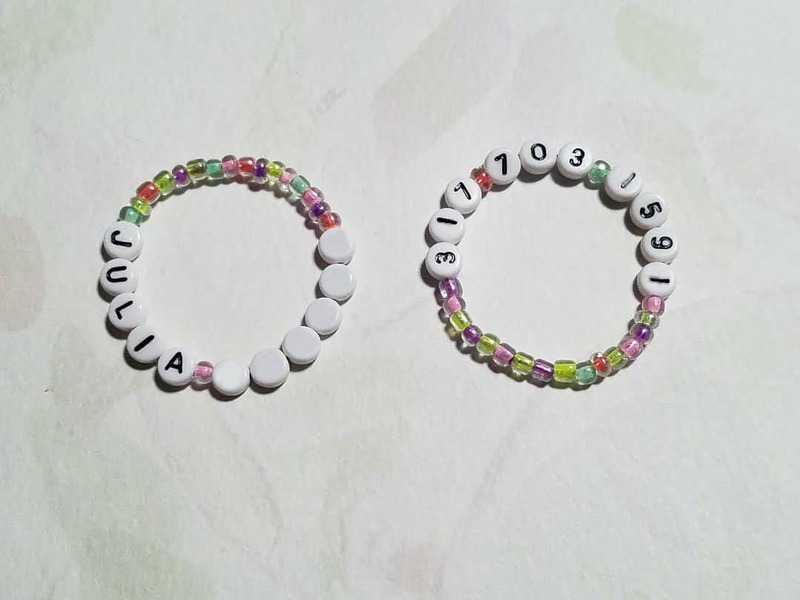 Also available: Identical Babies ID Bracelets/Anklets Newborn Twins, Triplets or Quads Vintage / Retro Hospital Style ID Bracelet. 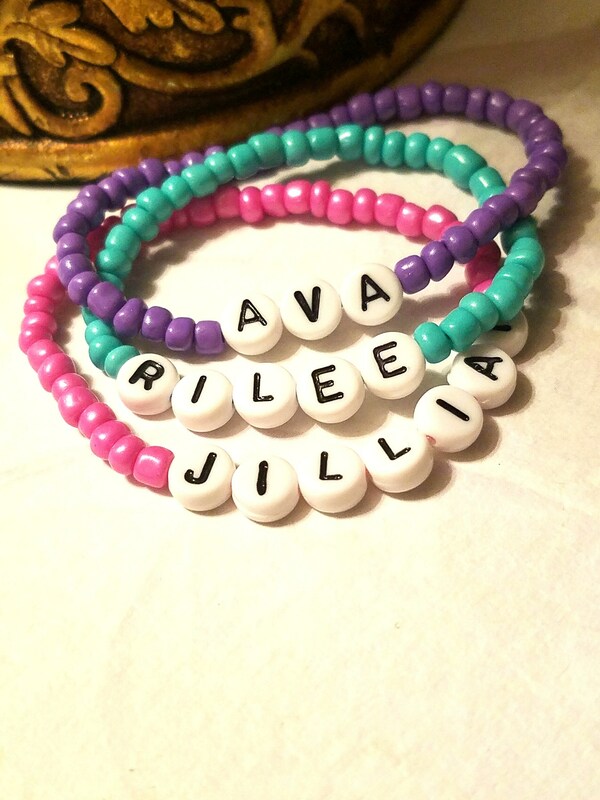 Handmade bracelets sets.